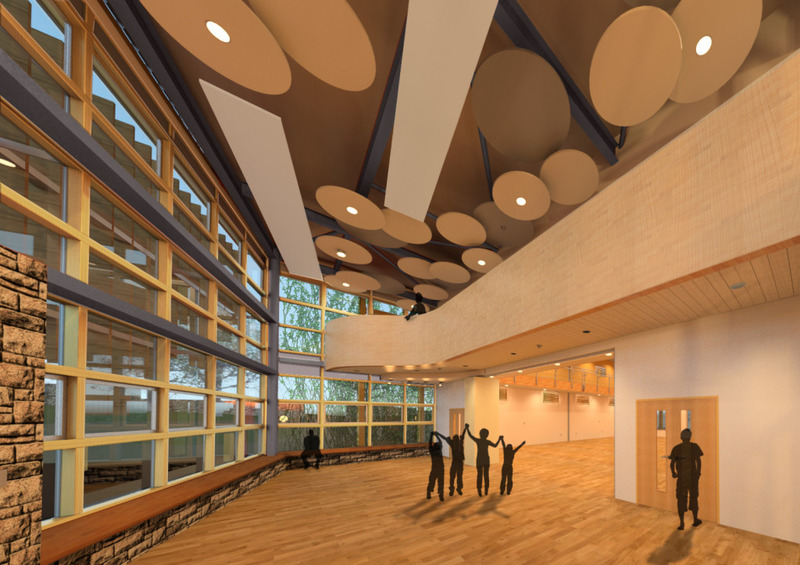 Beaudesert Park School Performing Arts Centre - MEB Design Ltd.
MEB Design were appointed as lead architect for the design of a new Performing Arts Centre at Beaudesert Park School. 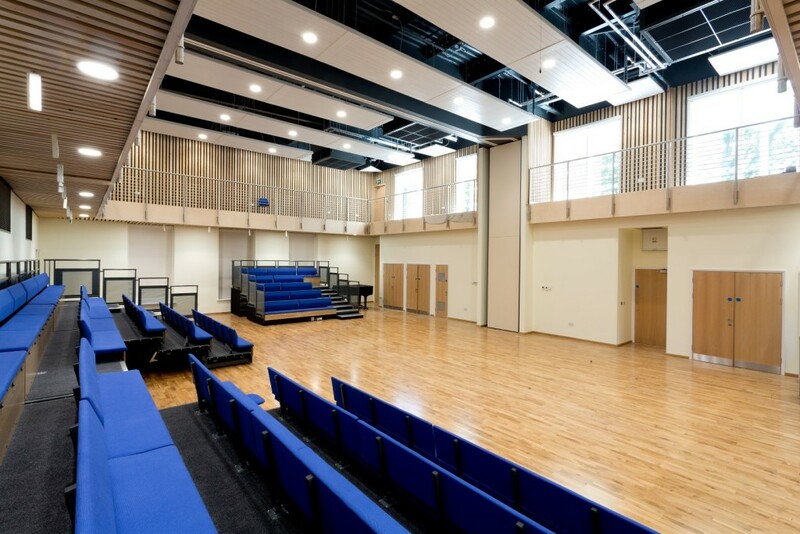 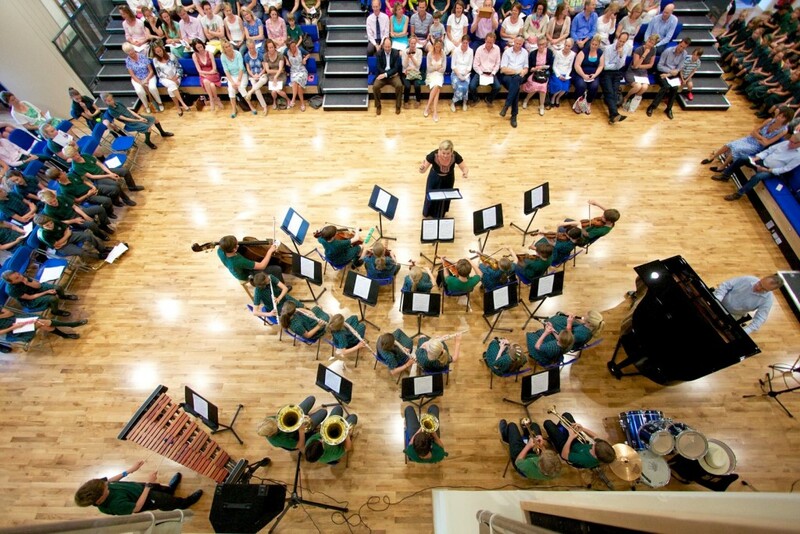 Set amongst the grounds of the listed main school building the new centre provides a new flexible hall space designed to accommodate the school’s activities, from assemblies, to dance, to theatre productions. 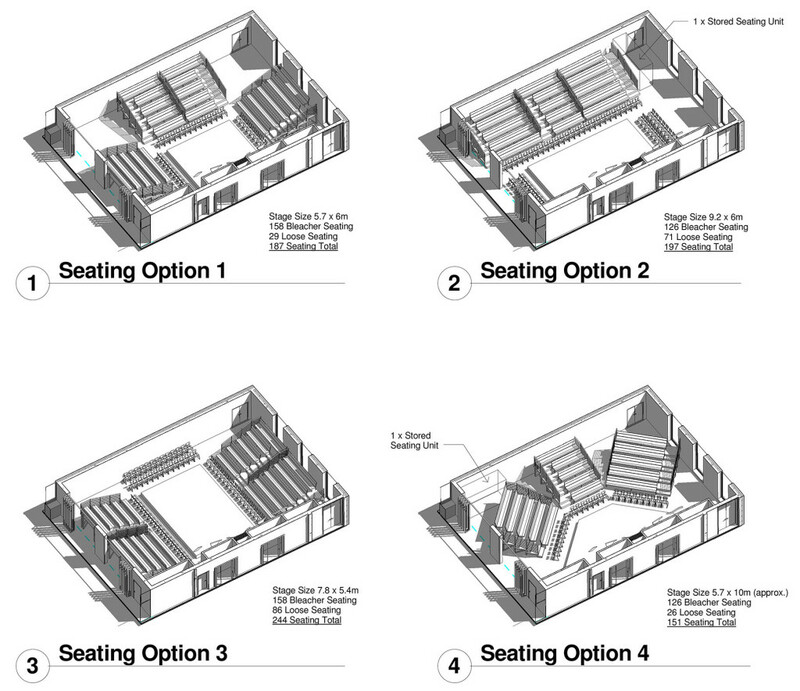 Flexible bleacher seating provides numerous arrangements to the hall’s use. 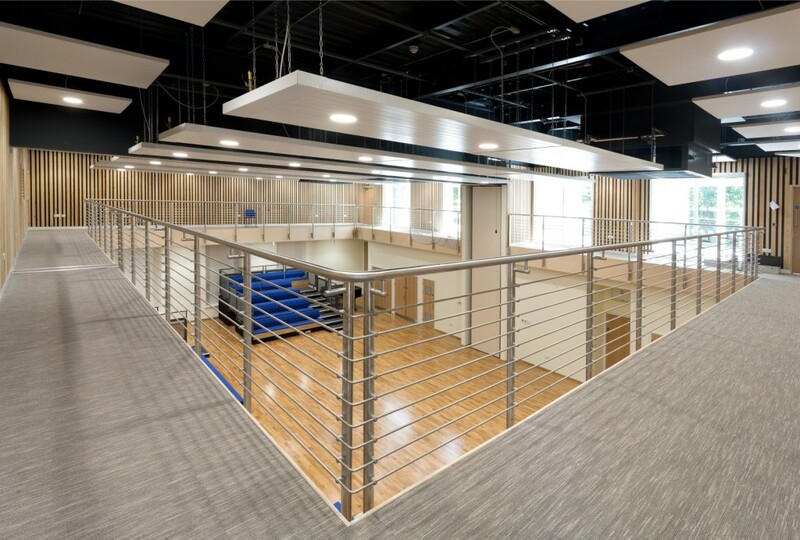 A glazed foyer space provides further space for activities with a mirror finish flexible wall providing a dance studio environment. 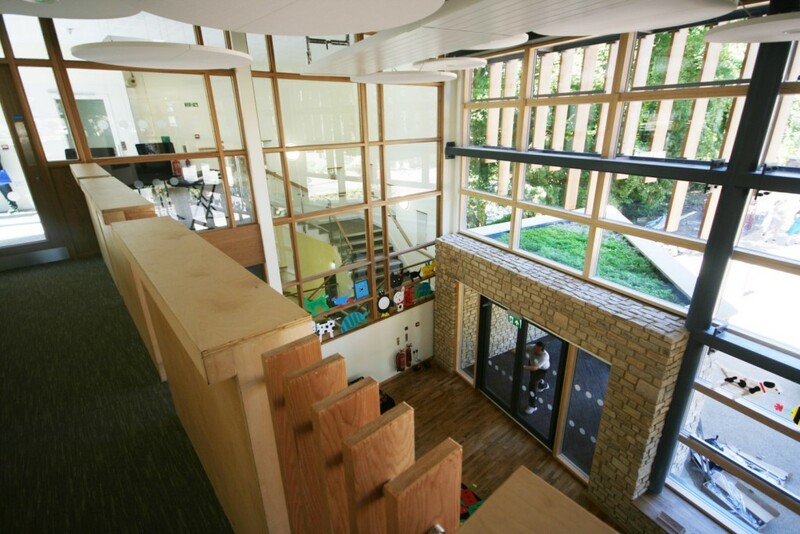 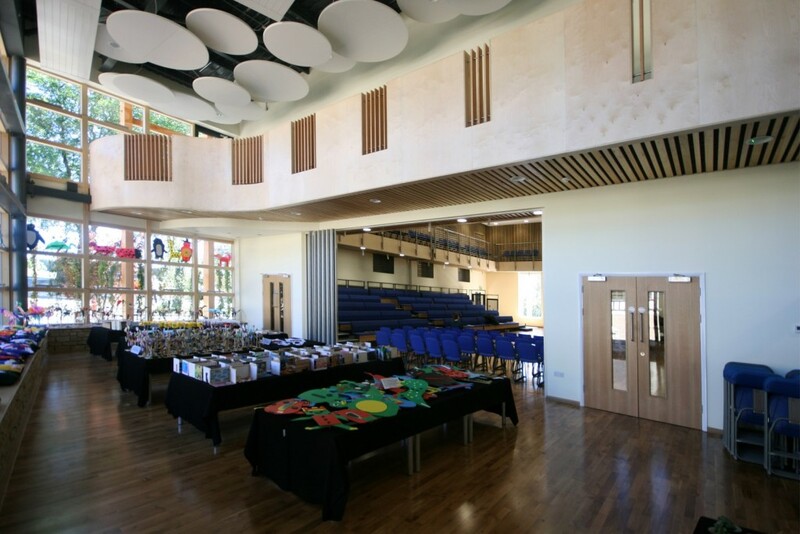 The centre also includes a back of house scene dock and classroom which doubles as changing space for performances, as well as first floor balconies to both the Foyer and Auditorium. 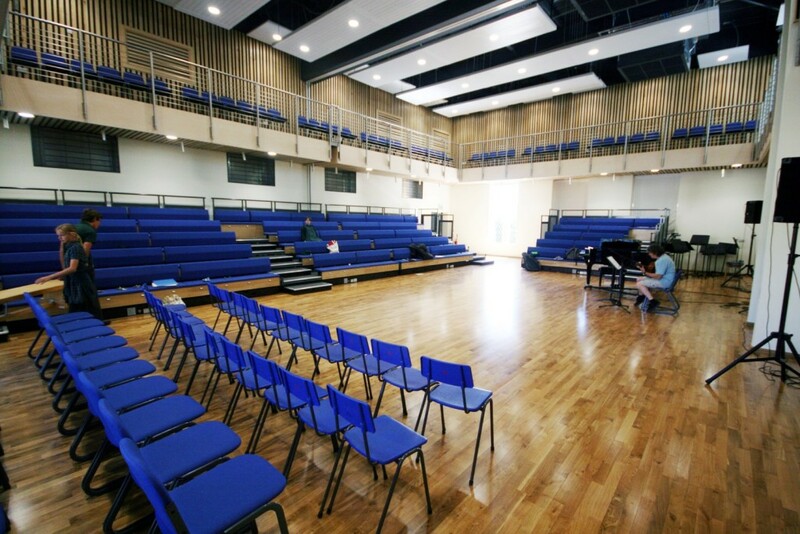 The part underground Music department includes dedicated acoustic Practice Rooms supplied by Amadeus and Ensemble Room along side staff facilities. 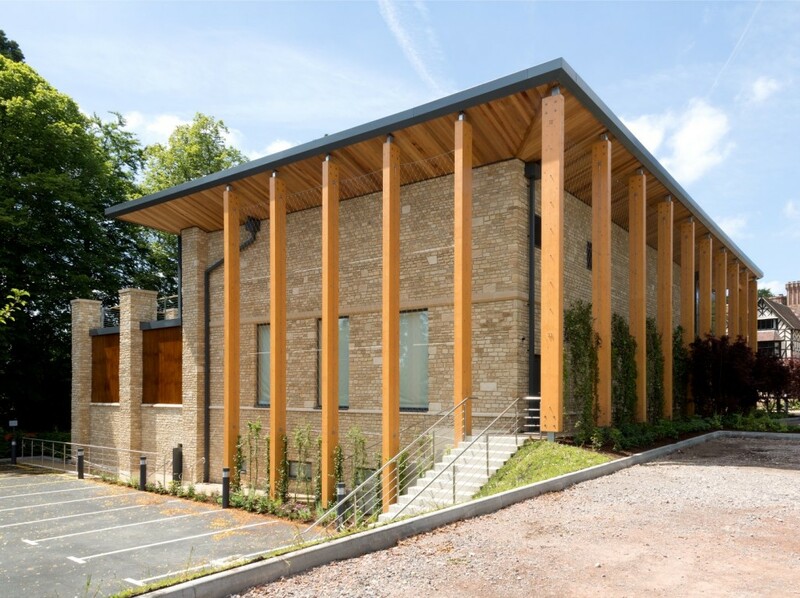 The project set out to create a contemporary building which took cues from the local palette of materials – existing buildings and the natural landscape. 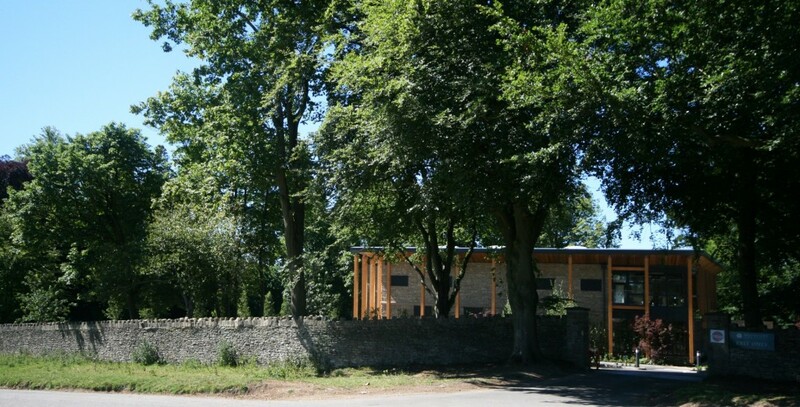 Externally the building is mostly clad with Cotswold stone, built to a dry stone wall aesthetic, a construction synonymous with the area and sourced from a local quarry. 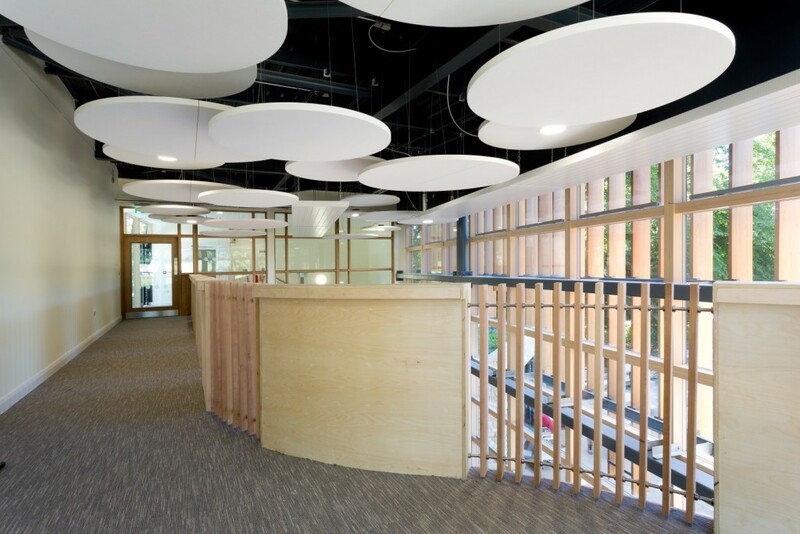 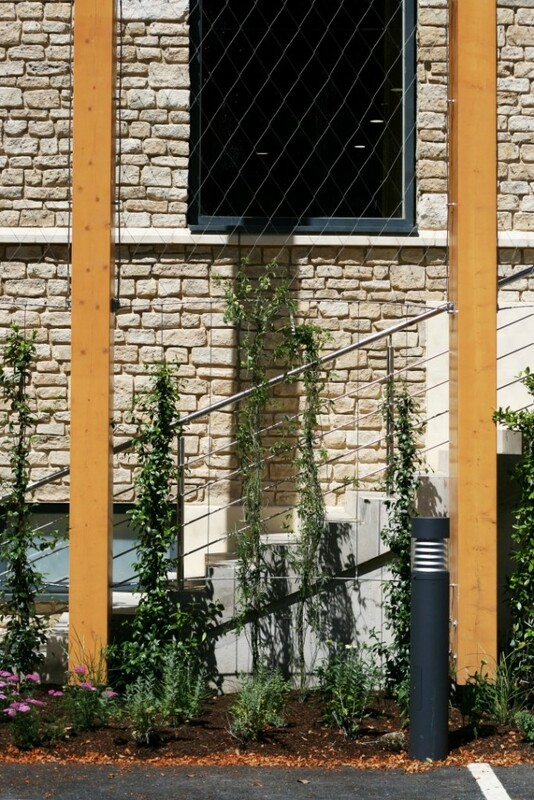 An offset trellis “green wall” wraps around two elevations of the building providing a safe and sheltered circulation route around the building to the Music School external entrance and the lower car-park. 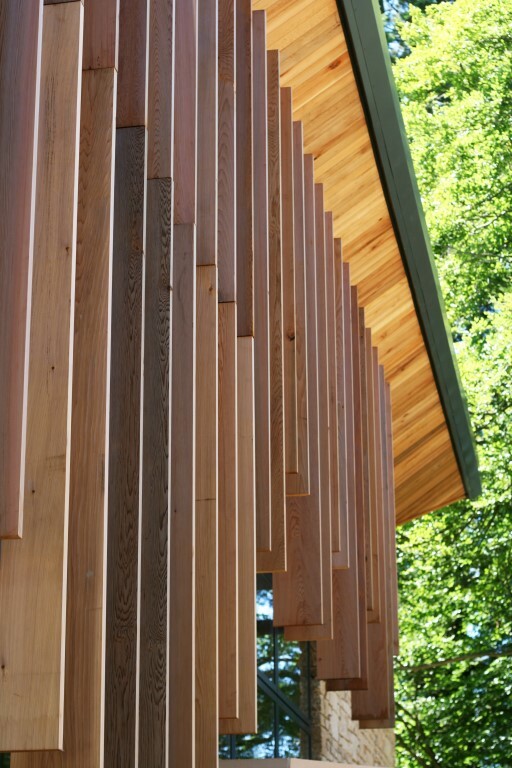 Natural cedar vertical louvres to the glazed elevation are staggered to reflect the continuous treeline around the site, and have also been likened to a scale of musical notes, fitting for the building. 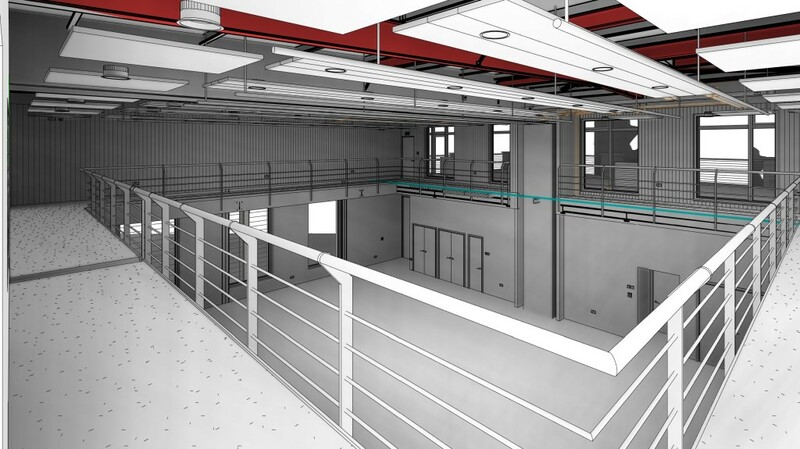 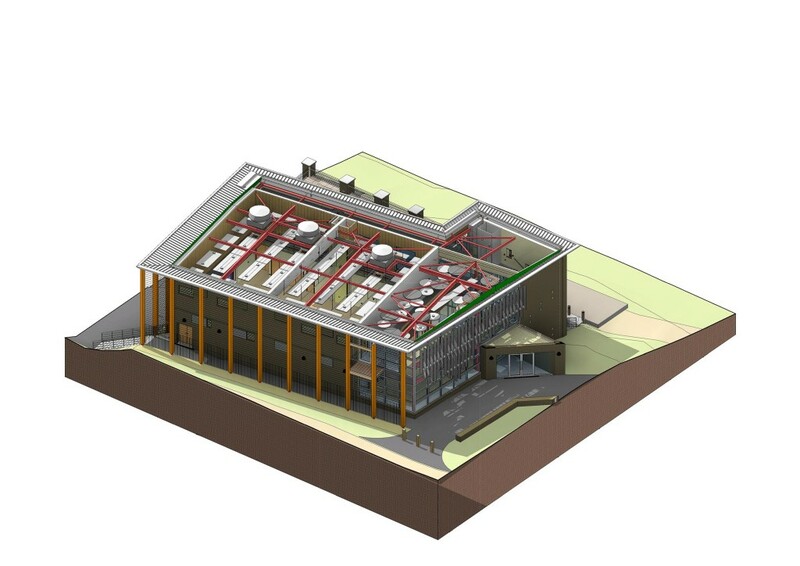 The project was developed in a BIM capacity with structural and services consultants using Autodesk Revit. 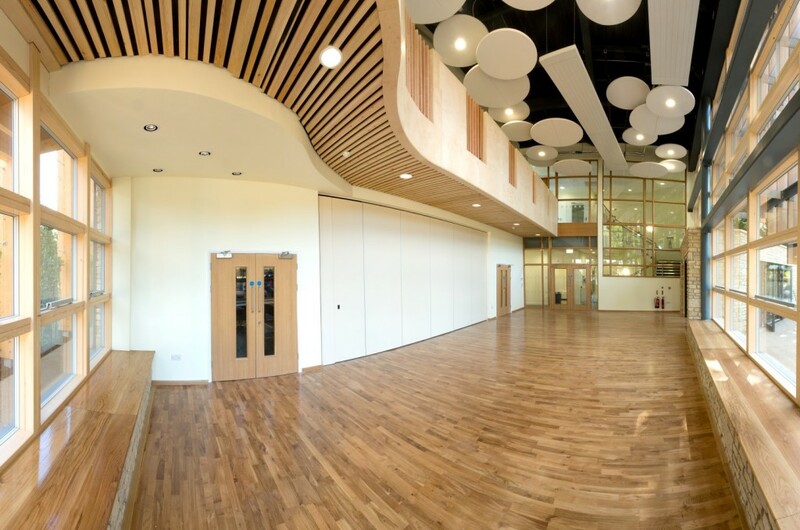 Please explore the Foyer space through the interactive panoramic image to the right. 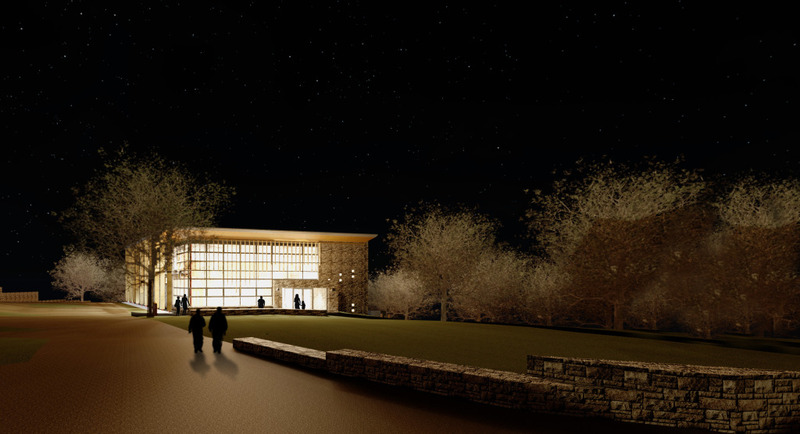 A time-lapse of the construction is also viewable. 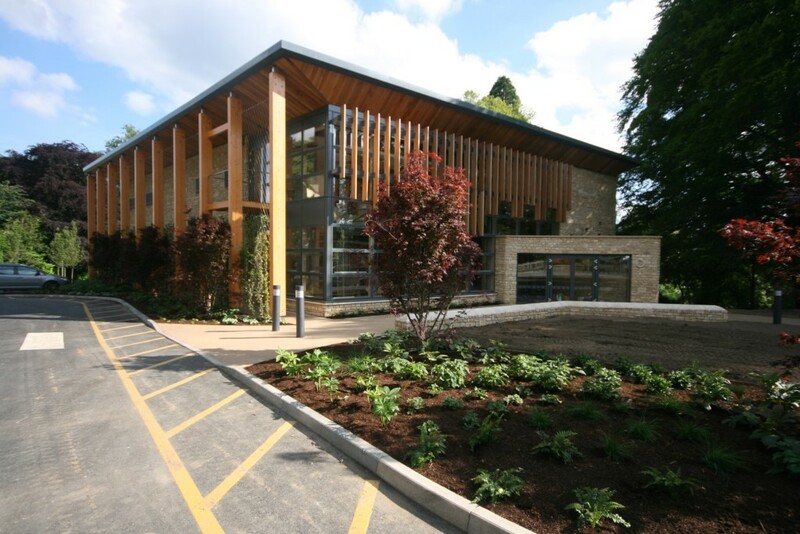 Knowles & Son were main contractor working along side Quantity Surveyors Mildred Howells, Structural Engineers Hydrock and M&E Consultants CBGC.